Stay in the heart of historical Warsaw, brand new, ultra modern Oki Doki Old Town. 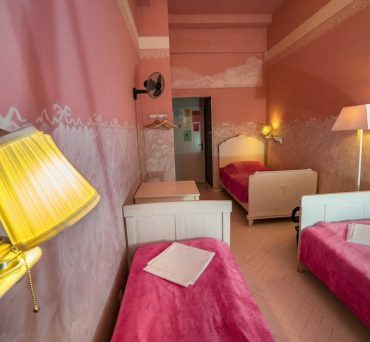 Have fun in the heart of downtown in legendary Oki Doki City Hostel. Whatever you want, we've got it in two best locations. From exclusive privates to spacious dorms, we've got the perfect bed for your wallet & your head. Expect loads of extras! We organise different activities every day. Check out our bars! We are young. We are bright. We're awesome. The only thing we're missing - is you! 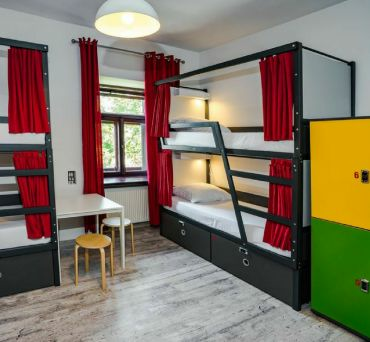 Hostel in Warsaw – discover Poland you have never seen before! Are you going to visit Warsaw? It is a perfect choice! This city will surprise you many times. Many places of various nature, lots of open-minded people and series of memorable experiences – all of this is waiting for you. Have you already bought a ticket and guidebook? Now you also need a good accommodation. You can find it at Oki Doki. … two hostels to be precise. One of them is located in Old Town – here everything is within a walking distance. Another one is in downtown – between the Central Railway Station and Old Town, just by the underground station. From these places you can easily reach any spot in the city. But location is not the only reason why Oki Doki hostel is a perfect place for you. Atmosphere is a key. Always cheerful and smiling personnel who will always be ready to help you discover the beauty of Warsaw is our biggest merit. Another strong point is comfortable rooms. Each room will let you relax after a long day of visiting the city or… make new acquaintances. The decision is entirely yours. Remember: both private rooms and beds in shared room are available for booking. Choose the variant that best suits your needs. 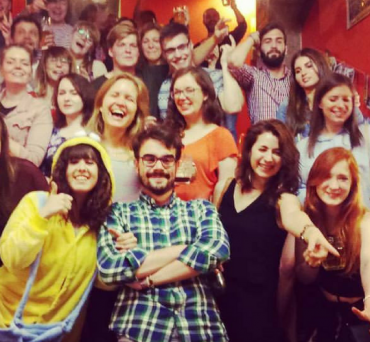 If you opt for booking in our hostel, you can expect discounts in a fine backpacker tavern and many other attractions. 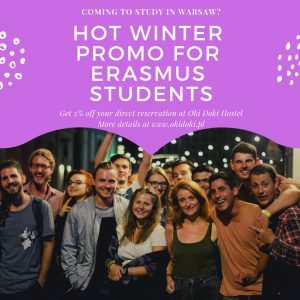 Do you expect best price for hostel in Warsaw? Make sure you make a booking directly on our web page (the lowest prices guaranteed). Are you ready to spend some time in Warsaw? Pack your bag and come to Oki Doki! Here you are always welcome!